So here, every term of cloud computing is explained. In simple words it is the application on the remote server and to access it you will need the internet access and browser. Examples : Gmail,Yahoo Mail – Email on remote server not on your local system. It may be possible that you have virtual server (Server at remote place) or development environment at remote place. This is also included under term “Cloud Computing”. In this type of service, you will get the Virtual System which can be connected using internet. Where you can install any Software even in some service providers you can install the operating system. You can get the root level of access to the server. System admins are mainly benefited because of no hardware maintenance and overhead. In this type of service, you get development platform bundled with all the types of software preinstalled. You will then have to write and execute all your codes in remote server by some mechanism. Normally you will get the sandbox to program and test your applications. In this type of mechanism you cannot get the root level of access to the remote server. 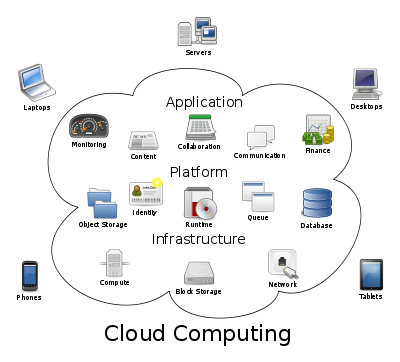 Servers will normally follow the multitenant architect where same server used by multiple organizations. It’s preferred by the developers who want to quickly start the development on particular technology without worrying about the hardware and underlying technology framework installations. This is the highest level of service in which everything is provided from hardware to software to already build applications. Example – Salesforce.com used for the CRM already have bunch of applications build.